Forest Avenue Press, 9780988265776, 300pp. 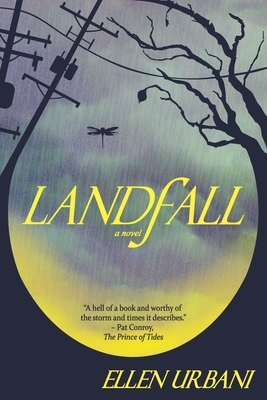 Two mothers and their teenage daughters, whose lives collide in a fatal car crash, take turns narrating Ellen Urbani's breathtaking novel, Landfall, set in the wake of Hurricane Katrina. Eighteen-year-olds Rose and Rosebud have never met but they share a birth year, a name, and a bloody pair of sneakers. Rose's quest to atone for the accident that kills Rosebud, a young woman so much like herself but for the color of her skin, unfolds alongside Rosebud's battle to survive the devastating flooding in the Lower Ninth Ward and to find help for her unstable mother. These unforgettable characters give voice to the dead of the storm and, in a stunning twist, demonstrate how what we think we know can make us blind to what matters most. Ellen Urbani is the author of Landfall (2015, Forest Avenue Press), a work of contemporary historical fiction, and the memoir When I Was Elena (2006, The Permanent Press; a BookSense Notable selection). Her writing has appeared in The New York Times and numerous anthologies, and has been widely excerpted. She has reviewed books for The Oregonian, served as a federal disaster/trauma specialist, and has lectured nationally on this topic.